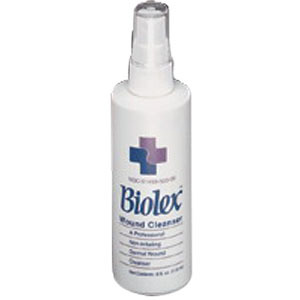 Biolex Wound Cleanser 6 oz. This non-toxic, non-irritating wound cleanser facilitates removal of slough and debris. It will not harm healthy tissue and has a no-rinse formula. Aids in removal of wound debris and slough.